As an admin, you can use your account settings to manage settings for your entire institution. Depending on your permissions, you can edit differing levels of the account settings. View a video about Account Settings. Note: In sub-accounts, not all account settings may be available. 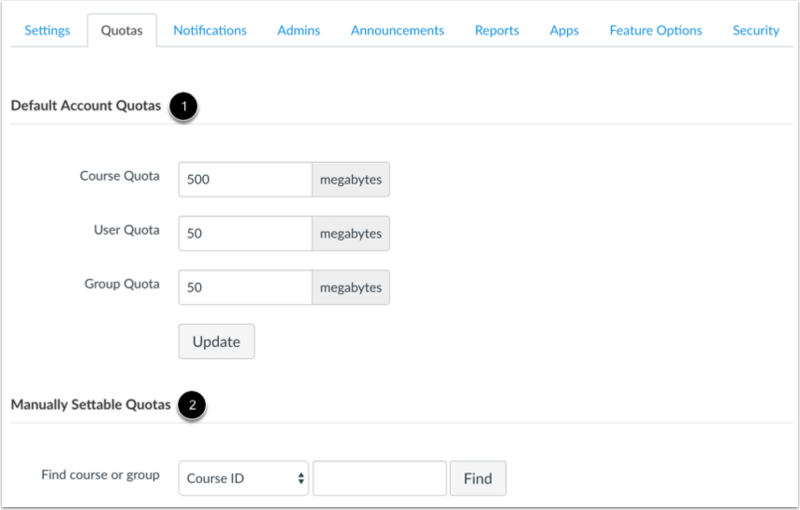 In the Quotas tab, you can set default account quotas for courses, users, and groups . You can also set quotas by Course ID or Group ID . In the Notifications tab, you can change the settings for email notifications. 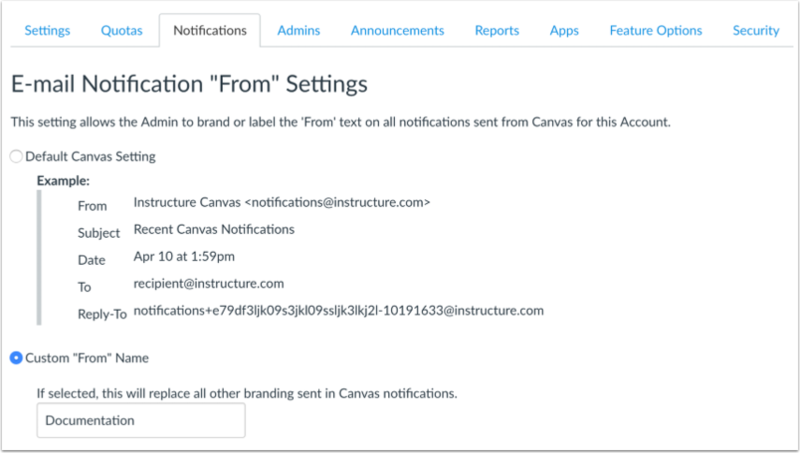 You can choose to keep the default Canvas setting or change the Email Notification “From” Name for Canvas notifications. This custom text can be your institution name or whatever sender information you would like to use. 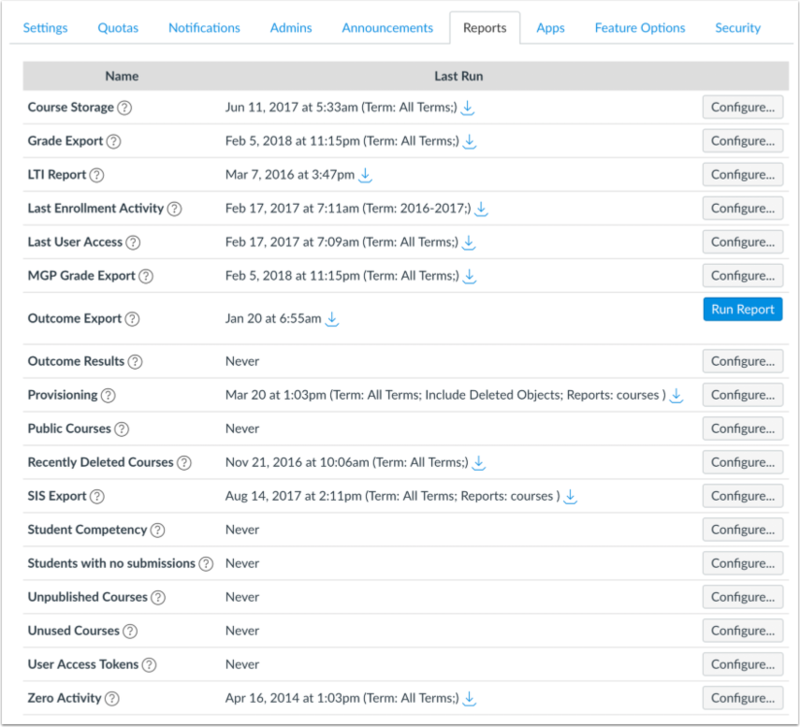 Using the custom text field helps student identify notification emails more easily and improves the quality of student-instructor interaction. You can also warn users about notifications sent to external services; adding a non-institution based email address may result in the exposure of sensitive content. Note: Only root account admins can configure notification settings for an account. The Notifications tab is not available in sub-accounts. In the Admins tab, you can view and edit the admins assigned to this account. If you are working with sub-accounts, admin privileges are limited to the scope of just that sub-account and below. Learn how to add an administrative user to your account. 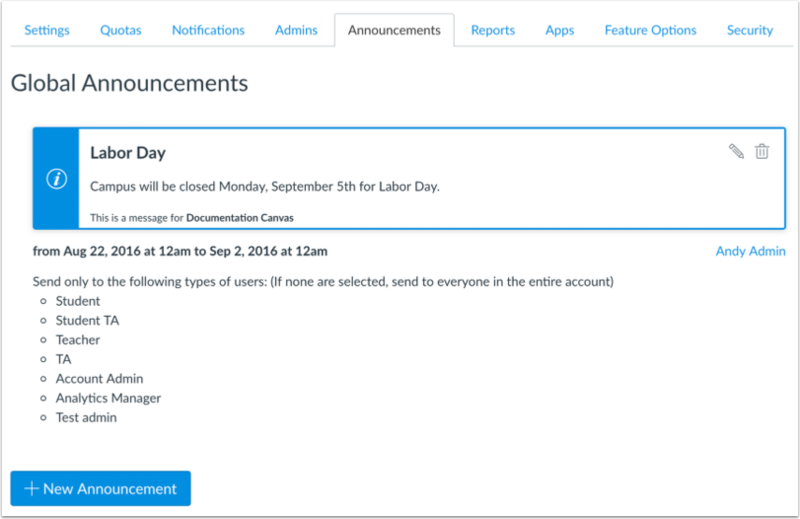 In the Announcements tab, you can send out global announcements to every user in that account. These announcements are used to announce events such as building closures, class cancelations, holidays, etc. Learn more about global announcements. The Reports tab is where custom reports will appear after you design them. There are many more reports available in Canvas, they just aren't listed on this page. They are available in context. Quiz reports, for example, are available from the quiz page itself. User reports are available on the user's profile page. 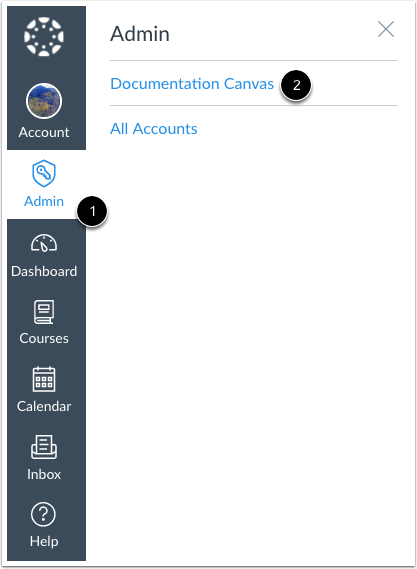 If your institution has enabled the Canvas App Center, in the Apps tab you can view all available external learning tools in Canvas. However, you can also configure apps manually. External learning tools are often developed as LTI integrations. These tools may be published along with a textbook, and access to these tools is often restricted to students in the course. 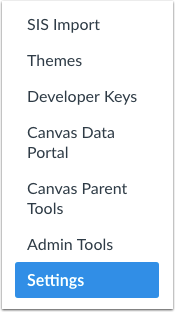 Any LTI provider should be able to give you the information you need to configure the tool in Canvas. Once configured here at the account level, it is available to any course designer or instructor in the account. The Security tab is where the Content Security Policy can be managed. 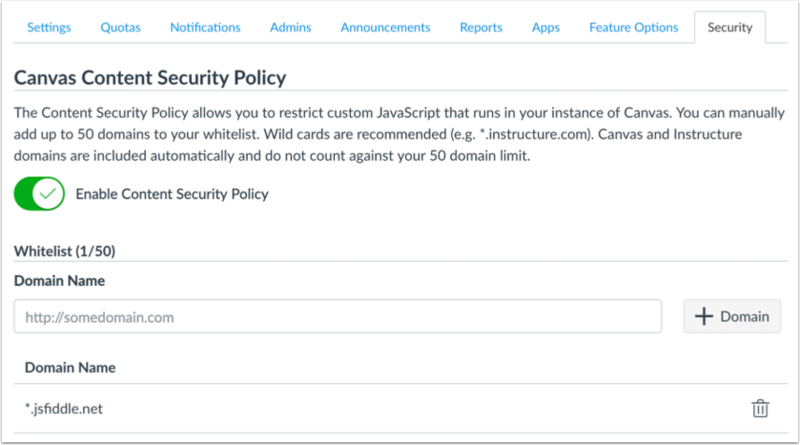 You can enable or disable the Content Security Policy and add or remove domain names from the Domain Name Whitelist. Previous Topic:How do I customize learning mastery ratings for an account? Next Topic:How do I set details for an account? Table of Contents > Settings > How do I use account settings?